Drink Water On An Empty Stomach Every Morning! Every morning, I get up and drink 24 ounces of water. I don’t chug it, but I slowly sip it before I make coffee or breakfast. Why? I’m sure some of you have heard of the Japanese Water Therapy. According to Japanese tradition, water can be used as a natural treatment for numerous disease like asthma, arthritis, heart disease, tuberculosis, constipation, etc. It prescribes water before brushing your teeth and then waiting 45 minutes before breakfast. In India, there is a similar water treatment, called Usha Paana Chikitsa, or roughly “early morning water treatment.” It recommends you drink 1.5 liters of water on an empty stomach each morning. It purportedly also treats a host of medical conditions like the ones listed before. But as with everything on the internet, the more incredible the claim, the less likely it is to be true. And all of this, my friends, is a bunch of made up nonsense. For starters, this Usha Paana Chikitsa treatment is dangerous for your health. On average, I drink about one and a half liters of water in a single day. The Indian treatment recommends chugging it first thing in the morning. This is an incredibly dangerous thing to do. Your kidneys can process up to about 1,000 ml of water per hour. If you drink more than that in an hour, you can develop a condition called hyponatremia. Hyponatremia occurs when your bloodstream sodium levels lower to unhealthy levels. This causes your cells to begin to stretch themselves. At a glance, this isn’t a bad thing. Your body’s cells are made to expand and stretch and move around as our bodies do. Your brain’s neurons, however, cannot. Excess water can cause brain swelling and death. Never try Usha Paana Chikitsa. The Japanese Water Therapy, on the other hand, has no negative side effect as long as you don’t chug an idiotic amount of water first thing in the morning. 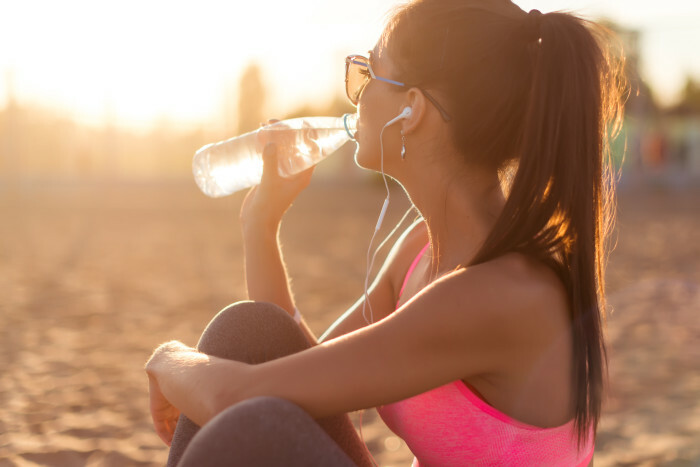 Drinking water in the morning, empty stomach or not, keeps your body clean, hydrated and healthy – there’s no doubt about that. There is, however, no scientific research to support the claim that drinking water in the morning can cure difficult and sometimes irreversible diseases like cancer, tuberculosis, and Diabetes. By all accounts, it’s all one big hoax. Another claim that circulates is that drinking water can stop a heart attack. This is also simply not true. There’s no scientific research to back the claim. But I still drink water every morning. Why? Because hydration is important. We lose water as we sleep (and all the time for that matter) and it needs to be replenished beginning each morning. Water keeps your skin looking young, keeps your energy levels up, helps you maintain a healthy body weight, and reduces the chance of having painful kidney stones. So drink water. Just don’t buy into the aforementioned claims about it. Next post: 3 Simple Ways To Naturally Unclog Your Arteries! Previous post: Do You Have a Nutrient Deficiency?